Beirut (AFP) - A US-backed Kurdish-Arab alliance seized Friday an ancient fortress overlooking the Islamic State group's biggest prison near the jihadists' Raqa bastion in northern Syria, a monitor and a commander said. 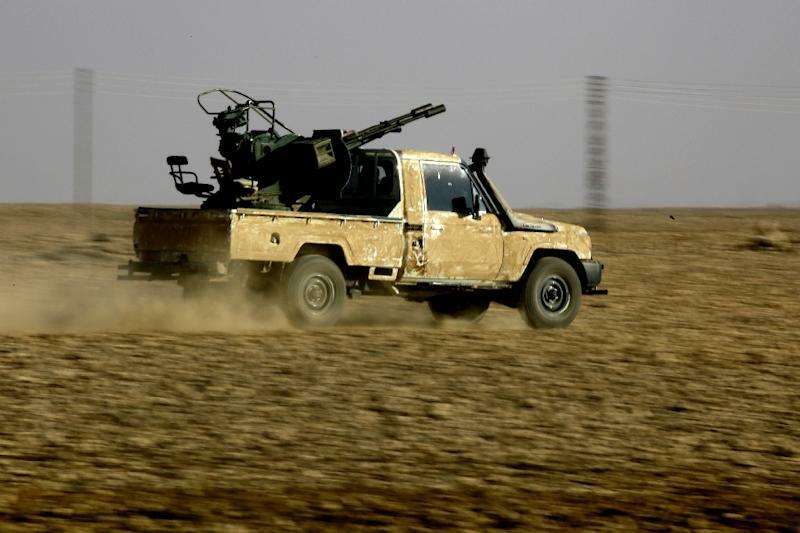 "The Syrian Democratic Forces, supported by American special forces and international coalition aircraft... took control of the ancient Qalaat Jaabar fortress," said the Syrian Observatory for Human Rights monitoring group. It said the Islamic-era fortress was captured after fierce fighting with the jihadists. Observatory director Rami Abdel Rahman said control of the fortress gave the SDF a "line of fire on the biggest IS prison" in Syria. A Kurdish field commander confirmed that SDF forces had seized Qalaat Jaabar, where the jihadist group "was stationed and was using to launch attacks on surrounding villages". The Kurdish-led SDF has been battling since November 5 to oust the jihadists from their self-declared Syria capital of Raqa, 50 kilometres (30 miles) east of the citadel. Qalaat Jaabar sits on the shores of Lake Assad, which was formed by the country's largest dam at Tabqa on the Euphrates River. The Observatory said IS had moved dozens of prisoners to Raqa city and other parts of the province. The fortress was "one of the most important historic Islamic castles in Syria", dating to the Seljuk and Mamluk periods, said Maamoun Abdulkarim, head of Syria's antiquities department. It has 35 bridges, a mosque and used to have a museum with dozens of artefacts. The Euphrates dam sits 500 metres (yards) from the town of Tabqa, a key IS stronghold where many of its most senior commanders are based. The next target will be "to seize the city of Tabqa", the SDF commander said. The SDF and IS also fought pitched battles Friday in Al-Suwaidiya village, near Tabqa, the last IS holdout before the dam, said Kurdish authorities and the Observatory. It also reported that coalition aircraft carried out air strikes on targets in the village that killed at least eight people, including women and children. Control of Al-Suwaidiya would allow SDF forces to advance directly on the dam, said Abdel Rahman. In a two-month offensive, the SDF has taken large areas of northern Raqa province. On December 10 it announced the second phase of the operation to oust the jihadists from their Syrian stronghold.